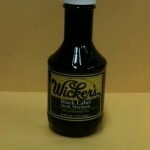 Wicker’s Marinades, Bastes, and Table Sauces are all hand-crafted in Hornersville, Missouri, USA. 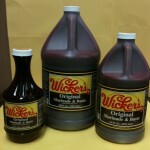 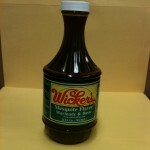 We use Peck Wicker’s original, secret formula of spices in a vinegar base as a starting point for all Wicker’s sauces. 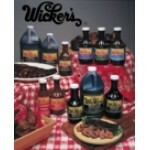 The award-winning Wicker’s Marinades & Bastes contains no sugar or oil. 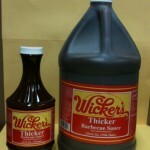 Wicker’s Marinades & Bastes tenderize meat while adding a wonderful, mildly spicy, and overall delicious flavor. 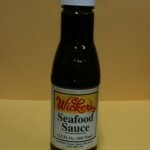 The Tables Sauces, which include Thicker Wicker’s, Black Label, and Seafood Sauce add extra flavor to any meal. 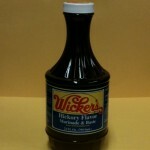 WICKER’S, the WICKER’S logo and “THE BEST BASTE IN AMERICA” are registered trademarks of Wicker's Food Products, Inc.